Award News of "Beautiful Mess"
The news of Manick Sorcar winning the Accolade Award for his short laser animation "Beautiful Mess" flashed all over the internet. The story was carried by online news services such as Google, Yahoo, Business Standard, India Abroad, Total News Express, India New England, Half Desi, Telugu Headlines, The Indian Diaspora, etc., to name a few. 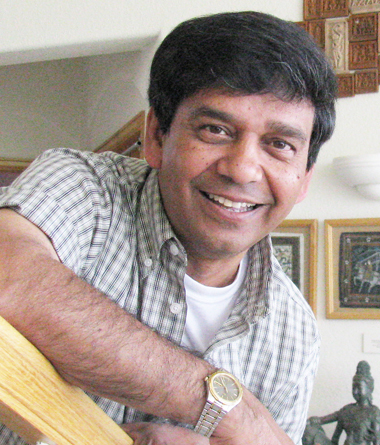 CHICAGO - Indian American laserist and animator Manick Sorcar, of Denver, Colorado, has won the prestigious Award of Merit at The Accolade Global Film Competition for his animation art piece entitled "Beautiful Mess". Sorcar, the eldest son of the legendary magician late P.C. Sorcar, said he was thrilled and gratified with receiving the award, adding: "I take it as a recognition of the challenges I encountered in presenting the short, emotional story using laser as the animating medium and manipulating the strong beam of light as a harmless pencil to draw on a sketchbook." This is not the first laser animation by Sorcar that received international recognition. He won the ILDA 2015 Artistic Award for 'Light Art in Shower Ocean' in Innovative Application of Laser category from the International Laser Display Association. According to the Accolade, in winning this award, Sorcar joins the ranks of other high-profile winners of this internationally respected award, including the Oscar winning production of "The Lady in Number Six" by Malcolm Clarke, the talented Dave Bossert of Disney for his short documentary, and "The Tunes Behind The Toons."